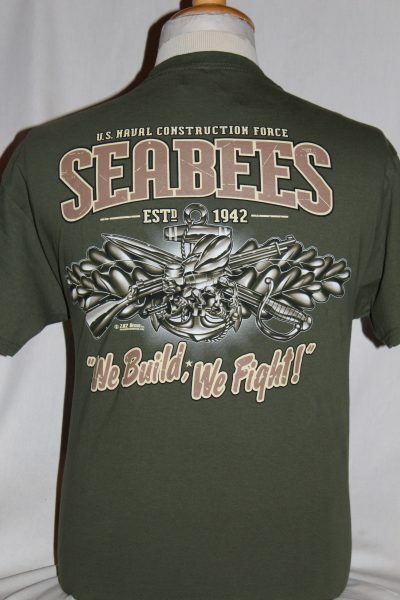 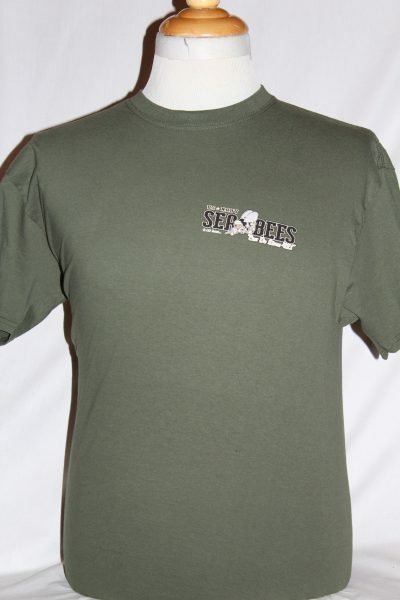 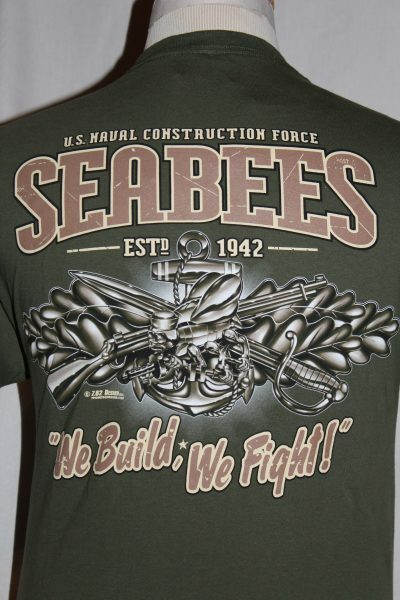 The US Navy Seabees T-shirt is a two sided print in green. Front Design: Seabees Symbol with text. 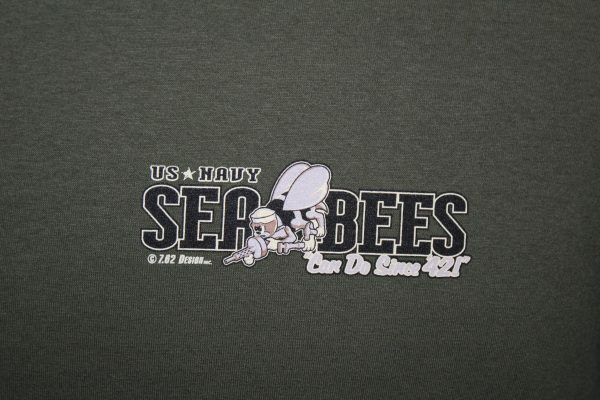 Back Design: US Navy Anchor, rifle, and sword with large text.